Crane (Grus grus). Taken in Extremadura, Spain, on November 15th 2018. Taken in Extremadura, Spain, on November 15th 2018. 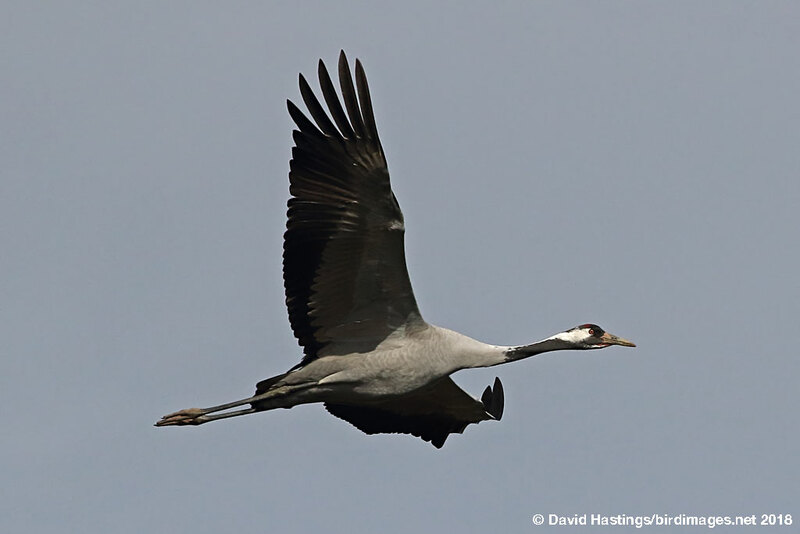 The Crane is a very large bird, with very long legs and a long narrow neck. Plumage is mainly bluish-grey. The winglets are long. The bare skin of the hindcrown is red. It has a loud trumpeting call, given in flight and display. The sexes are similar. 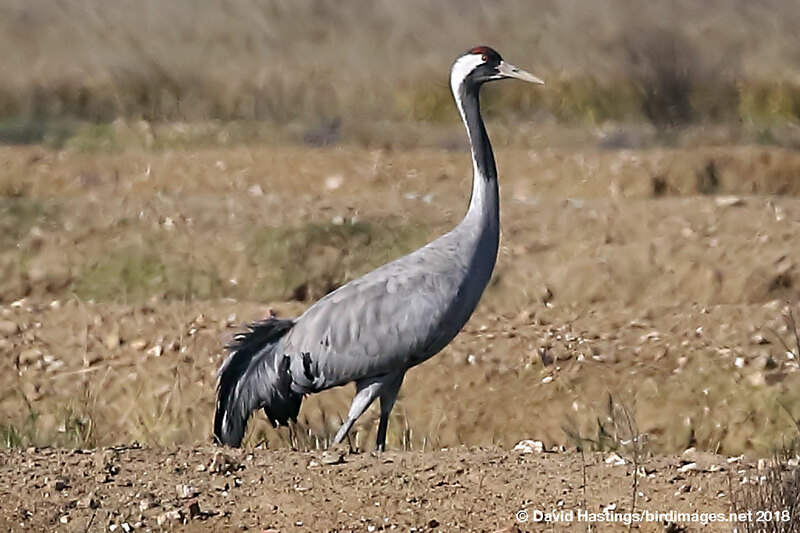 Cranes breed in northern Europe, and spend the winter in Spain and north Africa. They return to their breeding sites in April. There is a small population (re-introduced) in the UK. Breeding habitats include bogs in boreal forests, and reedbeds in lakes or along rivers in forested areas. Paired birds put on an elaborate dancing display in the spring. Flocks of wintering birds can be in the hundreds. It is regarded as of Least Concern by the IUCN. It has Amber status on the UK list. About 48 pairs breed in the UK.